This marine superfood with 65+ essential micronutrients contains almost everything you need for life. It helps build healthy cells and aids the body to heal itself of ailments. It helps in recovering from illness. It has all the amino acids that the body cannot make. It neutralizes the acidity of typical diets. It gives you extra energy and a happier mood. Marine Phytoplankton is a complete superfood. 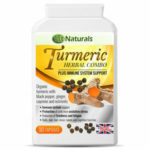 It has surprised medical experts in its ability to help the human body in healing itself of numerous kinds of ailments. It is considered an incredible breakthrough it human nutrition. Humans discovered this superfood by observing the Blue Whale. The blue whale is a very large sea creature, the king of the seas, yet feeds almost exclusively on marine phytoplankton and a select species of krill which, in turn, also eat phytoplankton. From this source of nutrition, the blue whale can travel hundreds of miles without rest. This generation is fortunate to have discovered this superfood, a three-billion-year-old secret to health. Phytoplanktons are microscopic cells in the ocean. It is a major life source on earth, supplying 90% of oxygen in our earth’s atmosphere. Marine phytoplankton is a green marine algae superfood containing 400 times more energy than any other living organic matter. It contains over 65 nutritional properties, including omega-3-6-and-9 fatty acids, vitamins, key minerals and trace elements, rare antioxidants, phospholipids, electrolytes, nucleic acids, enzymes, and co-enzymes. It provides essential nutrients for the brain such as serotonin and dopamine. It is more easily absorbed by the body than any fish-oil based supplements and can actually cross the blood-brain barrier. 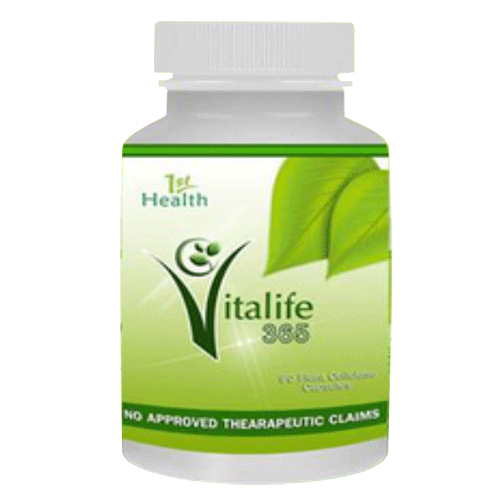 It gives the body everything that it requires to develop and grow healthy new cells. Marine phytoplankton also considerably increases the amount of oxygen that the blood can carry around the body. This promotes a healthy body and increases athletic endurance and stamina due to these increased oxygen levels in the blood. Another unique feature of marine phytoplankton is that it is composed of single cells that bypass the liver and the digestive system. This is why results are quickly visible particularly with critically and chronically ill patients who have sick livers. Results can be noticed within days of taking it. 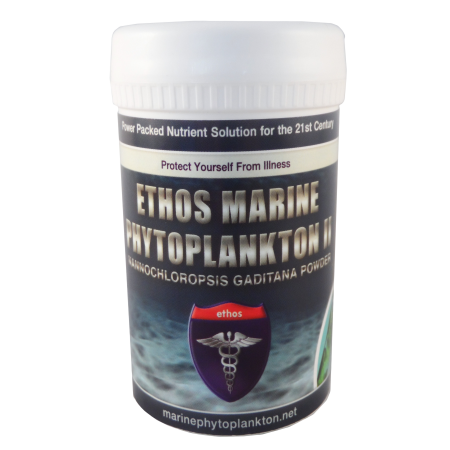 Why Choose Ethos 100% Organic Marine Phytoplankton? It is pure and organic. It has no fillers to add to its volume, so gram-for-gram, you get superior health benefits. Health professionals call it the world’s only complete super food and is the most perfect natural food source available today. “It contains almost everything necessary to sustain life and build healthy new cells. When you give the body everything it needs to produce trillions of healthy new cells then you get well”. Our body has the natural ability to heal itself provided you feed it with the right nutrients. Make marine phytoplankton a part of your daily diet. 100% Pure Ethos Marine Phytoplankton is a product of the UK. 100% pure organic marine phytoplankton. If you have cancer or recovering from an illness, take 1 to 2 capsules a day. If you are undergoing medical treatment involving antibiotics, a capsule 2 to 3 times a day is recommended to speed up the rebuilding of healthy cells. For sleep problems, emotional and mental stress as well as menstrual migraine, take 1 capsule before bedtime. For workouts, sports and extraneous activities during the day, take a capsule the night before and at the end of the day to rejuvenate the body. Be the first to review “100% Pure Organic Marine Phytoplakton” Click here to cancel reply.